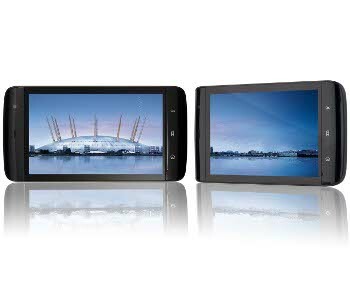 While the US has to wait until next month to get its hands on Dell’s Streak, a device that can’t decide if it’s large phone or a tiny tablet, UK network O2 will be launching the handset tomorrow with a price starting at free. We first caught sight of this tasty-looking Android device back in April. If the iPad isn’t your style, this diminutive tablet with a 5″ screen and 5 megapixel camera might be for you. Available in 16Gb and 32Gb varieties, it works perfectly well as a phone too, despite being a little on the large size. O2 has left it to the last minute to announce pricing details, but there’s good news if you’re in the market for one of these – you can get the 16GB version for free on a 2 year contract. O2 is offering contracts with both a phone connection and, for those wanting it purely as a tablet, with just cellular data. As with the iPhone, O2’s throwing in unlimited use of Bt Openzone and The Cloud WiFi hotspots too. A tasty deal for sure, even if we can’t see the Streak capturing the public’s imagination in quite the way the iPad has. Just make sure you grab the free 16GB model while you can, it’s increasing to £49 next month.